It’s the mid-season finale! Which means we were set for a cliffhanger that would leave us reeling over the long, long winter hiatus. My prediction has always been that we’d resolve this whole “Sam doesn’t have a soul” issue on the mid-season finale and use the back-half of the season to concentrate on the Purgatory storyline. Let’s see how right I was. But first, some random thoughts from the episode. It was immediately clear that the Supernatural writing staff are fans of Dead Like Me. I’m not faulting them for that, since it’s a really great show, but this episode definitely had the overtones. Secondly, it’s nice to know that Dean still loves and misses Ben and Lisa. This is a strong indicator that his adopted family is not completely out of the picture just yet. That letter Dean left with Dr. Robert is surely going to make its way to Ben. "Son, I stitched up your Daddy more times than I can count." This episode was an exciting prospect for us fans because not only were we going to see the return of Death, but also a guest appearance by Robert Englund. I loved the minimal three to five minutes he was actually onscreen. 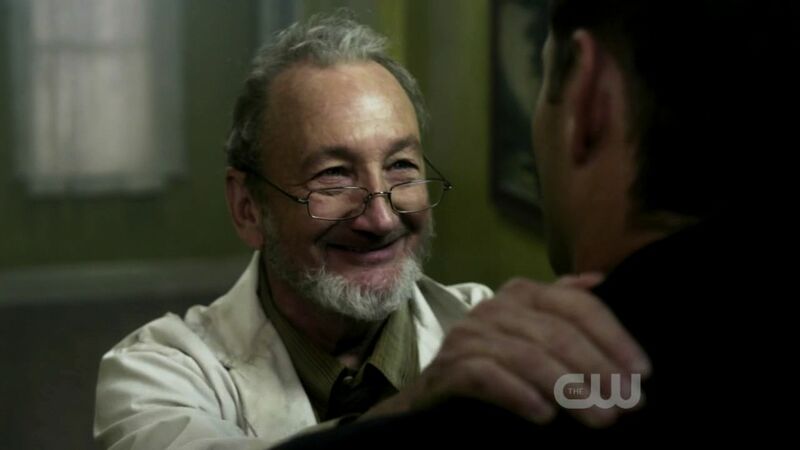 With a talent such as his, I would have expected a larger part for Dr. Robert, but instead he was burned off in a quick scene. Hopefully they will utilize him again later when one of the boys needs medical attention. Otherwise, it was a bit of a waste if you ask me. But neither Dr. Robert nor the quick pop-in of Balthazar was the character I was most looking forward to. No, that honor goes to Death. His return pleased me very, very much. 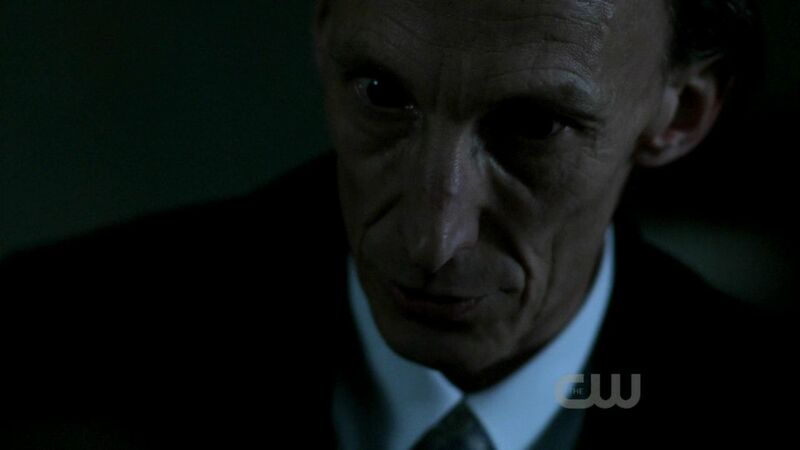 Aside from being my favorite Horseman, he is played by Julian Richings, who is pretty much Canadian royalty in my book. When I heard that he was indeed making a reappearance, I was debating the implications of his return. On one hand, he could show up anytime he wanted and I’d be happy. But on the other hand, this is Death. The interactions of humans are of very little importance to him. Death has said that he’s going to reap God one day, so do we really think some guy begging for the soul of his brother is even pinging his radar? But one thing about the Winchesters, they defy the natural order and that gains interest. "You and your brother keep coming back. You're an affront to the balance of the universe, and you cause disruption on a global scale." However, Dean should learn to respect Death more. Prior interactions have had Dean cowering in a bit more fear, but this time around Dean was head-strong and had a favor to ask. Whether he died or not didn’t seem to matter to him, but I’d say Dean needs to learn a bit more about how to go about these attempts. Death was trying to teach him a lesson, but Dean still hasn’t quite gotten it through his head that when he upsets the order of the world, it creates a domino effect which has bad consequences for everyone. 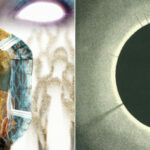 I really think that the Heaven/Purgatory clues are leading towards the big secret. We know that John and Mary aren’t in Heaven, so I’m guessing they’re currently in Purgatory. And this is likely where Crowley was going to grab Mary from, in exchange for Samuel’s help in the deal they struck. We also know that Dean and Sam are soul-mates, according to Ash, since they shared a Heaven. I feel like this was what Death was hinting at with his last words to Dean. It has to tie together somehow, else I doubt they would have brought it up in the first place. "It's about the souls. You'll understand when you need to." 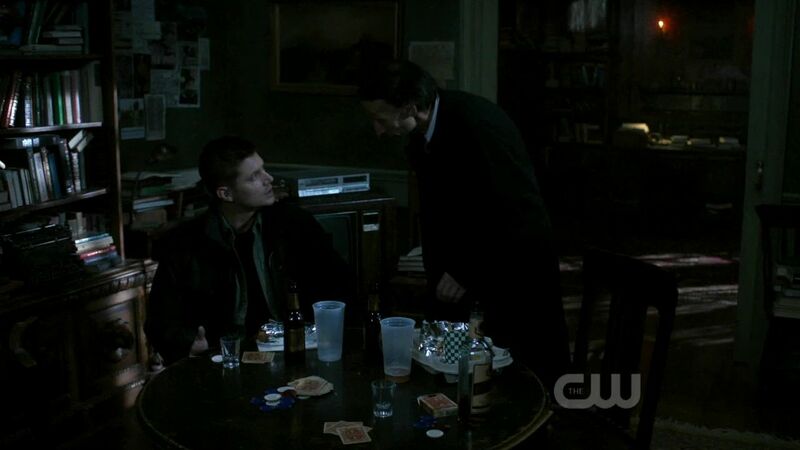 It’s nice that Dean and Sam are so bonded, since Dean doesn’t seem to care as much about his other brother. I am very upset over the way they treated Adam in this episode. On one hand, after way too long, we finally get an acknowledgment that Dean has two brothers down in the cage. That elephant in the room was getting to be oppressive. However, Dean sure was quick to throw Adam to the wolves when a choice had to be made. I know that when it comes down to it, Dean will always choose Sammy over everyone else, but did he have to be so fast in his choice? Adam is set to suffer for all of eternity as a result of a fight that wasn’t even his to begin with. Couldn’t Dean spare a moment to mourn that fact? And why couldn’t Adam’s soul be safely back in Heaven when Michael took his body for a ride? Why must the show make Adam pay for his brothers’ choices again and again? The only reprieve for me would be to have Adam make a return later in the season looking for payback. His brothers abandoned him. I’d say they have some explaining to do. "Dean doesn't care about me. He — he just cares about his little brother, Sammy, burning in Hell. He'll kill me to get that other guy back." As for the brother who inspired all these deals and debts, his unsouled version is still a psycho. Glad to see that hasn’t changed. There is no growing or learning, there’s just Soulless!Sam and his mission of doing whatever it takes to advance his own goals. I mean, he didn’t want to kill Bobby, but it has to be done. And no matter how many times he’s told “patricide is wrong, Sammy” he just won’t listen. Sam knows that this whole re-souling plan is bound to screw up and he’s the one that will be a mess when it all falls apart, so he’s just trying to look after his best interests. 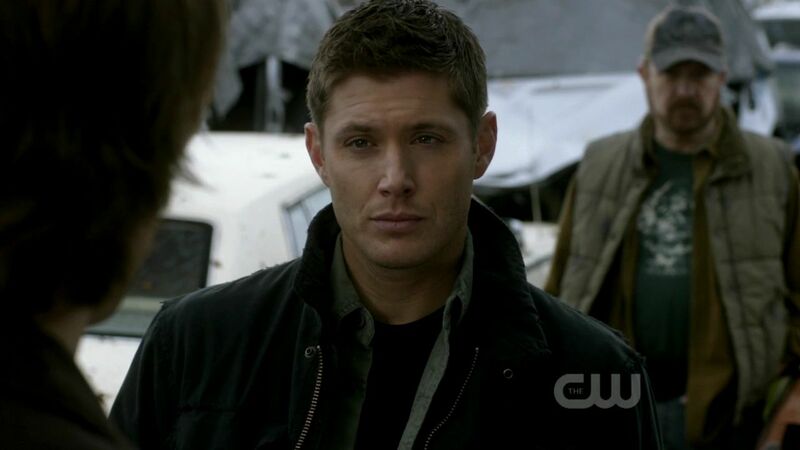 However, he’s got Dean for a brother and that pretty much explains why Sam’s plan will always fail. And how about that pesky soul deal, that inspired this whole adventure? Why, I do believe, I’m psychic! Or maybe I’m good at reading the signs. Either way, Sam did indeed get his soul back. What was the aftermath? That we’ll have to wait for since we went into the hiatus with Sam’s screams in our heads. Until the late January return of the show, fans will have to ponder where we go from here and collectively say “Don’t scratch the wall, Sammy.” I’m excited at all the twists and turns we have in store! I think that with Sam’s soul back, I believe that Sam will finally understand what Dean went through when he was down there. 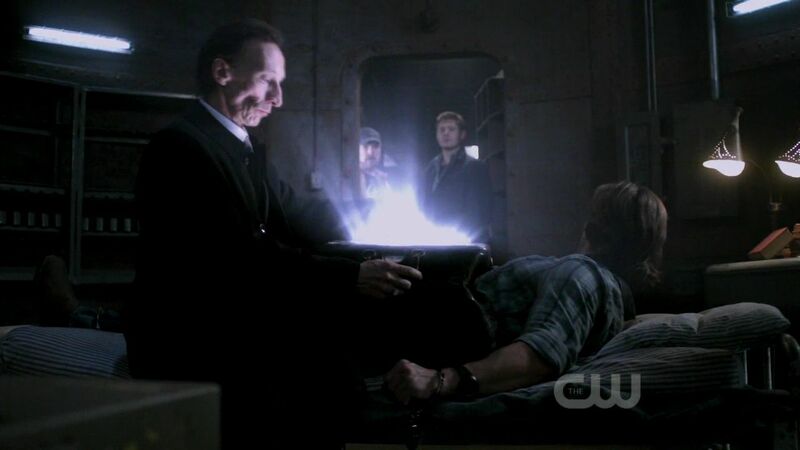 Granted Sam was there longer but still I think Sam will get perspective on what Dean went through. I have to admit it was nice seeing Tess again. I enjoyed that she made it clear that you don’t skip a name on Death’s list because of the wave of chaos that happens if you do. And I liked how she was just there to do her job and that’s it. Now if they could somehow bring back Bella. It would be cool if Bella was brought back as the new crossroads demon since making deals and screwing people over is something she was good at. But anyway, I am glad Crazy Sam is gone, I don’t know how much more of him I could stand. 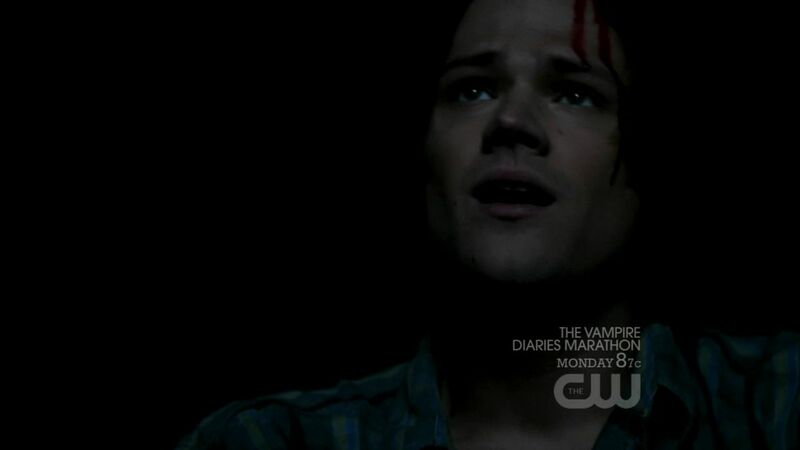 But kudos to Jared for adding a new dimension to his acting routine because he pulled off Soulless Sam very very well. Both Death and Tess was trying to make Dean learn the lesson of domino effect, but alas he isn’t quite getting it. She’s still down in the Pit as far as I know. I’m not sure we want to see what 300 years of torture has done to her.